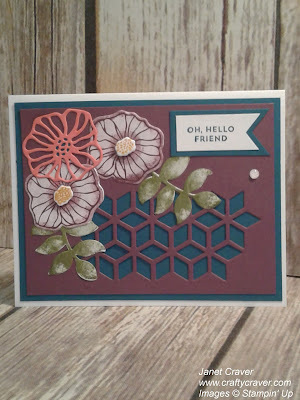 Today I wan playing with the Oh So Eclectic bundle from Stampin' Up!. 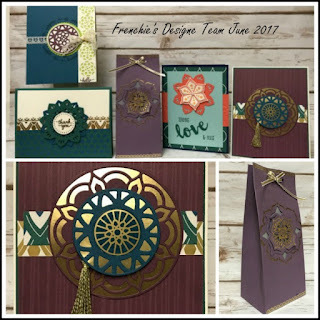 This stamp set and bundle originally caught my eye because of the Eclectic Layers Thinlets, specifically the diamond patterned thinlet. I love the possibilities of this thinlet, especially when you consider using it as a stencil and using the new paste from Stampin' Up catalog. I tried it out and it worked beautifully. 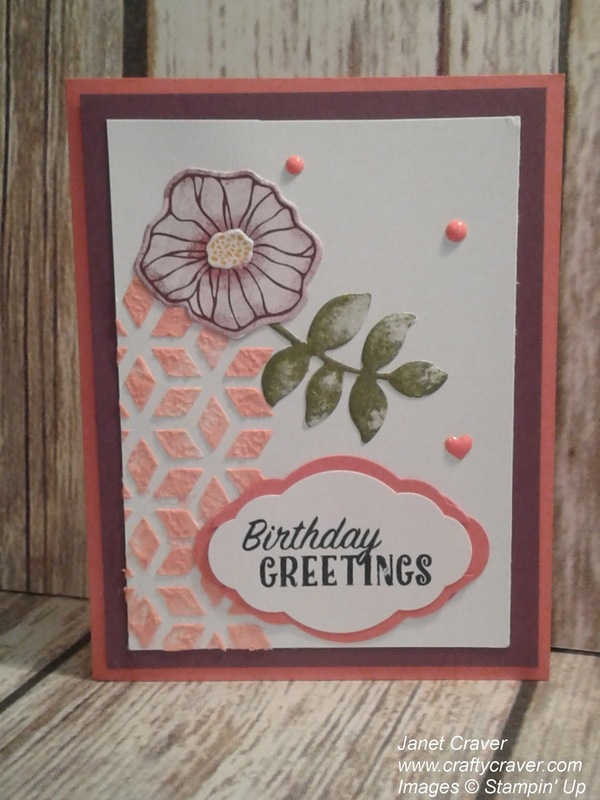 For today's cards I used Whisper White, Fresh Fig, Daper Denim, Calypso Coral cardstock. For the inks I used Daper Denim, Fresh Fig, Berry Burst, Crushed Curry, and Calypso Coral. 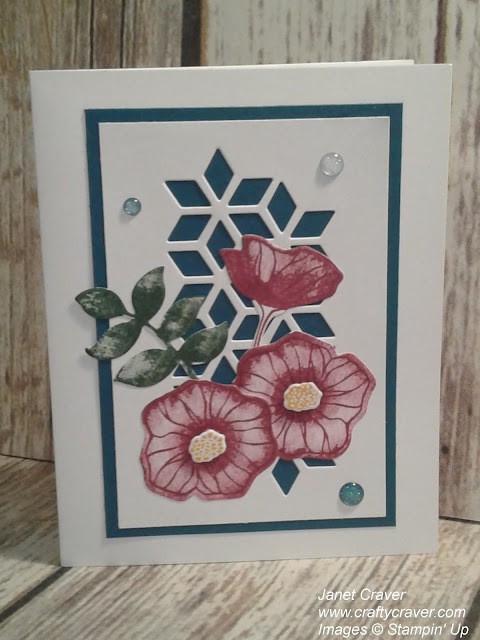 For the card above and the first card below you can use the same measurement (although in this picture they are slightly different). 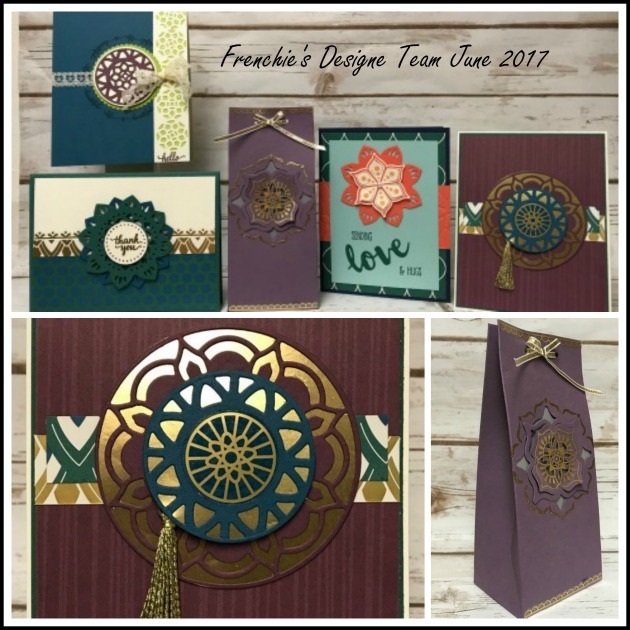 Layer one: 4.75" x 3.25"
Layer two: 4.5" x 3"
The other three cards use these measurements (same as in the pictures). 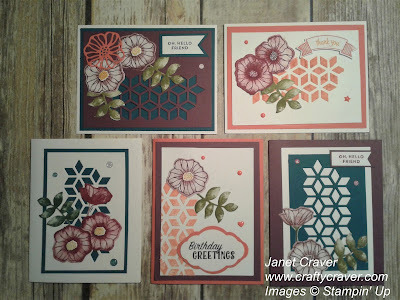 Layer one: 5.25" x 4"
Layer two: 5" x 3.75"
The last two cards are using the new Stampin Up paste. 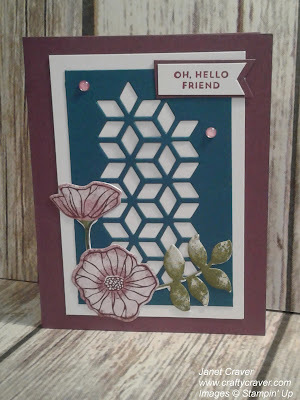 I first used the diamond star shaped thinlet and cut a piece of heavy Whisper White cardstock to use as my stencil. 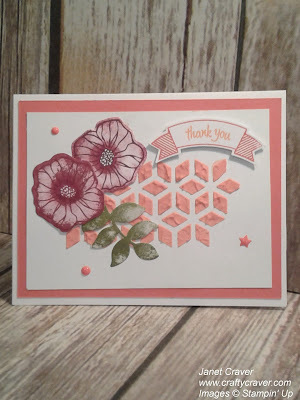 Next I put a little of the paste onto my Stampin Up silicone mat and a single drop of Calypso Coral refill ink and used the Stampin Up palette knives to mix the drop of ink and the paste. Then I positioned my home made stencil onto the Whisper White layer and used the palette knife to spread the ink. It turned out great!